Lamu is a beautiful archipelago forming part of the north-eastern coast of Kenya. Less than 140,000 residents call the collection of islands home, which make up a rich travel destination. Lamu offers you exotic beaches, historic architecture and a vibrant town atmosphere. The top attractions include Lamu Old Town, Siyu Fort and the Donkey Sanctuary. 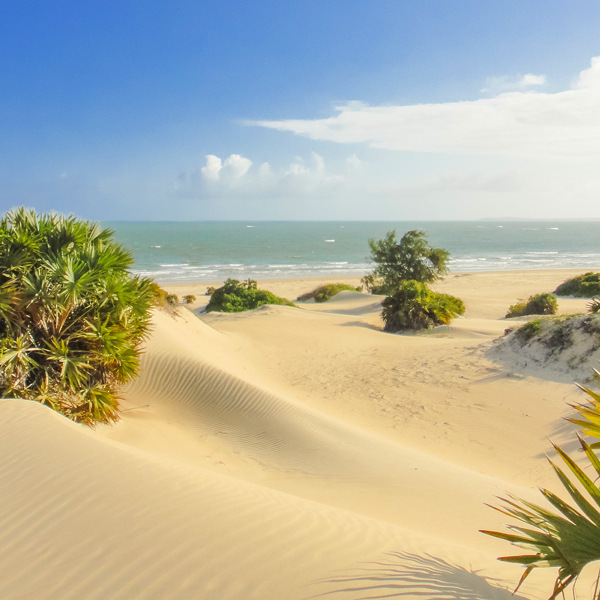 Start packing your bags and get ready to discover one of the most gorgeous parts of East Africa’s coast, because cheap flights to Lamu are now available for a limited time! Lamu is home to Manda Airport (LAU), which is a 5-minute boat ride to the Lamu town centre on Lamu Island. The Lamu archipelago is where the Swahili trace their roots. The town of Lamu is one of the original Swahili settlements along the coast of East Africa. 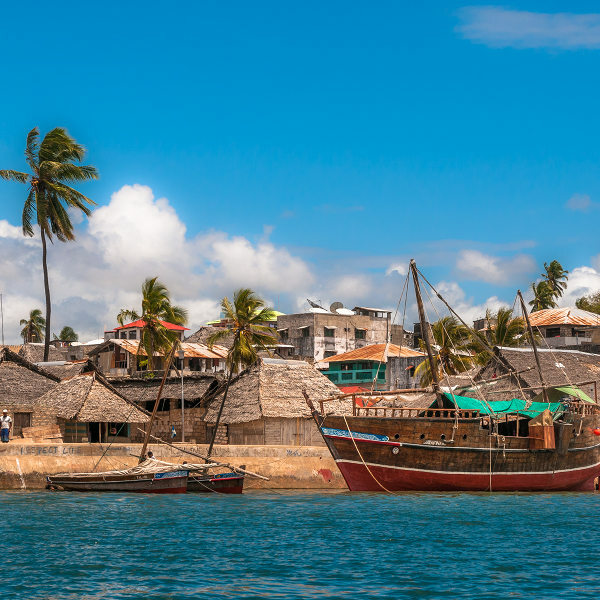 As an archipelago, it shouldn’t come as a surprise that Lamu boasts a gorgeous coastline. Some of the best beaches include Shelley Beach, Takwa Beach and Kipungani Beach. You’ll see that, as with most African destinations, Lamu is blessed with natural beauty. Explore the depths of lush mangrove forests, along river estuaries and through great grassy plains. The climate in Lamu is tropical. It rains throughout the year, but the most rain can be experienced from April to June. The temperatures stay between 20°C and 30°C throughout the year as well, so for the more comfortable experience, plan your stay in Lamu in the period from July to March. If you want to experience the culture of the archipelago, visit during November. That’s when the major Maulidi Festival takes place, a celebration of the birth of the prophet and founder of Islam, Muhammad. Lamu – one of the incredible destinations you must visit in Kenya. The archipelago offers you the best of the travelling experience. There’s the narrow streets of its medieval stone towns, charming architectural structures, a tropical island atmosphere and delicious local cuisine. The bustling town of Lamu, situated on Lamu Island, is a UNESCO World Heritage Site. 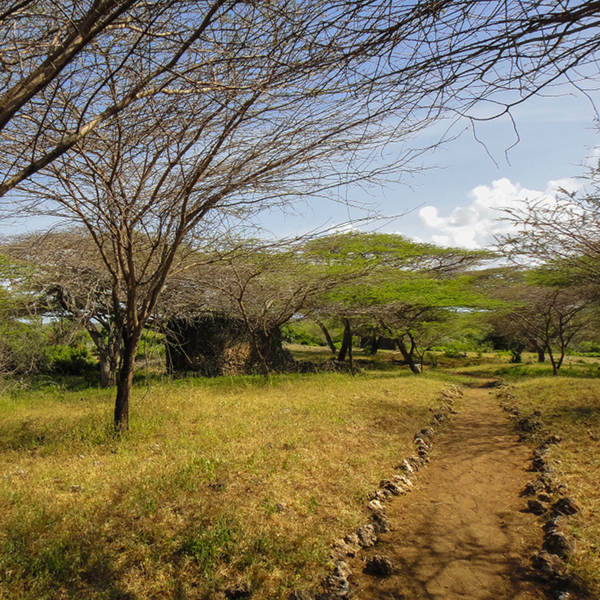 The Swahili who call the archipelago home can trace their roots back to the islands, all the way back to 1370! Evidence of the rich history is the Old Town, the Lamu Fort and Siyu Fort. You can discover more of Lamu’s story with the Lamu Museum, the German Post Office Museum and Swahili House. Immerse yourself into the lifestyle of the inhabitants, with a visit to the Lamu Market. Make sure you get there early, since the market has a reputation for its crazy hub of activity. You’ll find a shop at every turn, while at the coast you’ll find dhows lining the water, ready to take you on a tour of the islands. The islands of Lamu are diverse. There’s Manda Island, the home of numerous resorts. Then there’s the seemingly untouched Paté Island, with its traditional villages and charming ruins. For adventurers, head to the remote Kiwayu Island. While donkeys are the main mode of transport for locals, you may be surprised to find a sanctuary for the animals on Lamu Island. There’s a Swahili proverb that says “A man without a donkey is a donkey”, or as the staff of the sanctuary say, “A man who doesn’t look after his donkey is a donkey”! With the major religion in Lamu being Islam, you’ll find 23 mosques in the town, including the historic Riyadh Mosque, which was built in 1900. Compare several airlines and book your cheap flights to Lamu online with Travelstart! Before leaving for Lamu, make sure to get your vaccines for the various diseases that may pose a risk. These include cholera, hepatitis A, hepatitis B, malaria, meningitis, polio, typhoid, yellow fever and Zika. Make sure to avoid accepting any offers of a guide. Make sure to find out about licensed guides, as others may attempt to sell you drugs. A simple but firm “No, thanks” is enough to deter these. As an Islamic state, you should take note to observe and respect the traditions of the locals. That includes dressing conservatively, especially when in the populated areas and near the mosques. Take care to refrain from public displays of affection.